It could have been an easy night at the Vallecas stadium, but Real Madrid's negligence almost ended up forcing the Merengues to give away a 3-goal advantage in the second half. 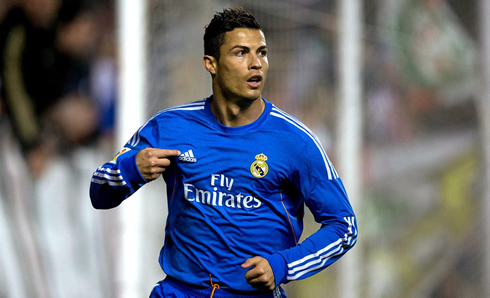 Cristiano Ronaldo added 2 more goals to his tally and Karim Benzema managed to score on his second consecutive match. 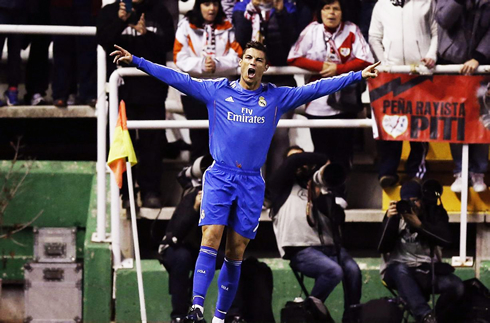 Cristiano Ronaldo played a decisive role in Real Madrid's 2-3 away win against Rayo Vallecano this Saturday night, after scoring two important goals that allowed the Merengues to reach a 3-goal lead in the game and which turned out to be crucial to secure the 3 points. Despite the victory, Carlo Ancelotti has more than enough reasons to be worried about his side's performance, after having conceded another two goals in a single match, which makes it 5 in the last two league games. As seen in many previous occasions this season, the defense was very sloppy and it fortunately only didn't end up costing any points because Diego López got to save Real Madrid with several capital interventions in key moments of the game. Xabi Alonso has finally made his return to Real Madrid starting eleven this season and his absence has surely been immensely felt by his teammates during the first couple of months of competition. Ancelotti tried out a midfield composed with Xabi Alonso as the main organizer, backed up by the former Tottenham player Luka Modric and Angel Di María. 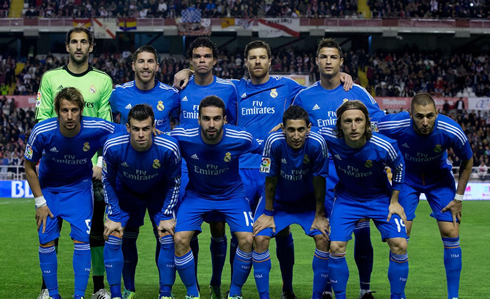 More upfront, the wings were left for Gareth Bale and Cristiano Ronaldo, while Benzema assumed his usual centre forward role. Just like we had seen in the match between Rayo and Barcelona a few weeks ago, the home side's game plan was all about keeping the ball possession and press high everytime they would lose it. On paper, that's more than a fine strategy but one of its main disadvantages is that ends up opening too much spaces on the back for fast counter-attacks. That's precisely where Real Madrid excels these days and it was no surprise to see Ronaldo and Bale capitalizing on that in order to earn a valuable advantage later in the game. It was only a matter of waiting nearly 3 minutes to see the first goal in this game. Luka Modric passed the ball to Cristiano Ronaldo on the left and the Portuguese star made use of his speed and technique to nutmeg a defender just before finishing it off with extreme class in front of Rayo's goalkeeper. It was a brilliant counter-attack play, executed by a player who simply can't stop scoring since he signed for Madrid back in 2009. The second goal in the game came on in the 31st minute of the first half, on a play that started on Xabi Alonso's quick reading and passing. The former Liverpool midfielder spotted a gap on the right to send a good through pass to Gareth Bale and gave the ball over to the Welshman for him to exploit the space. Bale had no trouble leaving his direct marker behind and used his right-foot to send in a perfect cross to Karim Benzema. The Frenchman took the opportunity to score from a nice header and reached his 3rd goal over the last two games for Real Madrid. Real Madrid marched into half-time with a 2-goal lead, but knowing that it had been Rayo Vallecano who has had the ball under control for most of the game so far. Things wouldn't change much in that respect during the second half though and when the Merengues reached the 0-3 in the 48th minute, few believed Rayo could still have the mental an physical capacity to get back into the game. As for the goal, it was Bale the provider once again and Ronaldo who finished it off. The 24-year old winger got rid of a defender close to the sideline on the right, entered Rayo's penalty-area and sent in a low pass for Ronaldo to tap it in right in the center. However, what seemed to be going into becoming another routine victory for Real Madrid, quickly saw its storyline changing drastically. The Merengues commited two penalty kicks in less than 3 minutes and Rayo managed to reduce the score to 2-3, with still more than 30 minutes left to be played. The first one came of a foul made by Pepe, who seems to have pulled his opponent foot when he was changing direction. The second penalty-kick was Marcelo's responsibility, as he jumped on a Rayo Vallecano player's back without any need for that. Jonathan Viera converted the two penalties and Real Madrid ended up being forced to defend the narrow advantage at all costs right until the referee's final whistle. Rayo got very close to score the equalizer in more than one occasion, but luck was on Madrid's side this Saturday night and Ancelotti's men brought the 3 points back home. This victory allows Real Madrid to continue 6 points behind Barcelona in La Liga standings, while the two goals scored from Ronaldo made him the league's top goalscorer with 13 goals, one more than Atletico Madrid's Diego Costa (12), and 5 more than Barcelona's Lionel Messi (8). Cristiano Ronaldo next game for Real Madrid will be against Juventus for the UEFA Champions League, this Tuesday (November 5, 2013). You can watch Juventus live stream, Juventus vs Real Madrid, Barcelona vs AC Milan, Real Sociedad vs Manchester United and Manchester City vs CSKA, all matches provided from our streaming live soccer section.